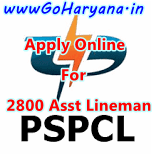 Punjab State Power Corporation Limited will held Online Examination for 883 JE, LDC & SSA post. Candidates who are going to participate in Online Test can download PSPCL Admit Card 2018 before date of online exam. LDC & JE Examination may be conduct in March/ April 2018.